Supporting fun and fitness at work in Boston, Atlanta, San Francisco, and other major cities. Corporate softball teams have been around for a very long time and that is because they offer a long list of benefits to your company and your staff. If your company has been considering new ways to promote teamwork and increase productivity, then a corporate softball team is the way to go. It is a small investment that can reap huge financial rewards for the company when it is done properly. Some companies let their competitive spirit get the best of them when they choose a softball league and wind up choosing a fast-pitch league that is dominated by men. While this is not necessarily a bad thing, it does tend to alienate a large portion of your staff and eliminates many of the reasons why a company joins a softball league in the first place. There are many well-established corporate softball leagues that encourage mixed teams of all talent levels to compete together. Slow pitch softball has a way of leveling the playing field and allowing everyone to compete. When you are choosing a league for your team, remember that the point of your corporate softball team is to encourage teamwork among your staff and not to identify the next great big league slugger. If you choose the right kind of corporate softball league, then you can benefit from the kind of bonding that participation brings. Almost anyone can play slow pitch softball and most leagues have requirements for the number of males and females on each team. The best part is that most leagues also have no age requirement, which can turn your softball team into the ultimate corporate bonding experience. The great thing about corporate softball is that it allows anyone, on any given day, to play the role of sports hero. The point of a corporate softball league is to have fun and it can be a great time when it is done right. It can also be the kind of thing that crosses over into being a social event for staff families as well. Encourage staff members who are on the team to bring their families to the games. It gives staff members a chance to know each other on a little more personal level and that always helps increase teamwork and productivity. You should also encourage staff members who are not on the team to come out and cheer as well. Some leagues allow teams to rotate team members in and out to give more people a chance to play and that will definitely increase interest and participation among your staff members. But when staff members are not playing in the games, then encourage them to be there to cheer the team on. Many of the staff members who play on your corporate softball team may have never played on an organized sports team in their lives. The uniforms you give your players could be the very first, and possibly only, sports uniforms they will ever get. You can enhance the bond between your employees and your company by making those uniforms something special. A nice design and the kind of shirt employees can wear even when they are not on the field will do a lot for team unity. When you have a company softball team, you can use it as a recruiting point to bring in new employees. You may think that a corporate softball team is not a significant recruiting point until you actually use it. You would be surprised at how many potential employees would love to work for a company that cares enough to maintain a corporate softball team. Happy employees are loyal employees and a corporate softball team creates happy employees. You will improve morale among your staff and that will decrease turnover. 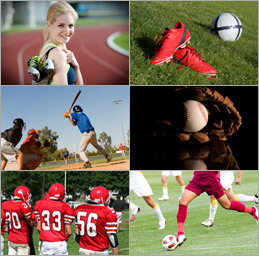 Since turnover costs your company money, that makes a corporate softball team a good investment. A corporate softball team can become a focal point of your company's culture and that would have nothing but positive effects on your organization. Your staff morale would improve and you would also see stronger working bonds between employees in the office. Those stronger bonds will help to improve productivity and make your company more money. Any company would want to invest in something that is fun for everyone and makes the company more money. The benefits of corporate softball leagues and teams far outweighs any of the problems that come with the small investment necessary to get your team on the field. 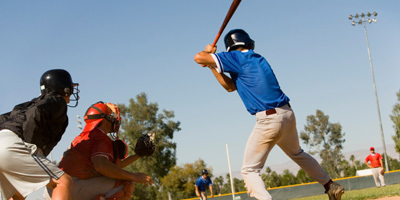 You can use your corporate softball team to establish a winning culture that each and every employee can be a part of.